In a bid to regain market presence in India, Danone, a multinational food products company based in France, is reportedly re-entering the dairy business of the country with a Rs.182-crore investment into Epigamia, an India-based premium yogurt maker. Reportedly, Danone’s latest move comes exactly a year after its exit from India’s dairy business. In spite of walking out of the Indian dairy market, the French company continued its nutrition business in the region, which includes brands such as Farex and Protinex that it had purchased eight years ago from Wockhardt. As reported by The Times Of India, other powerful backers in the investment include Verlinvest, a Belgian investment holding company formed by Anheuser-Busch In-Bev’s founding families, and Samina Vaziralli, Cipla’s executive vice-chairperson, and existing investor DSG Consumer Partner. Danone’s investment arm, Danone Manifesto Ventures, for the record, is marking its first investment in Asia with the latest transaction. Laurent Marcel, MD at the venture investment arm of Danone, revealed that Epigamia will continue its operations independently as it is a minority venture investment. Marcel further added that Epigamia and Danone are most likely to collaborate in areas of distribution expansion, food quality and safety, brand management, and manufacturing despite the investment being independent of Danone’s business in India. As per credible sources, Mumbai-based Epigamia has received a venture debt worth INR 12 crore from InnoVen Capital for the latest fund-raising. The company works with third-party manufacturers and is currently establishing its own production facility in Goa. According to Epigamia’s co-Founder & CEO, Rohan Mirchandani, the company has presence under about 10,000 retail touch points and is expected to use the new capital for expansion. The company moreover is aiming to widen its footprints across 50,000 of such retail points, he added. 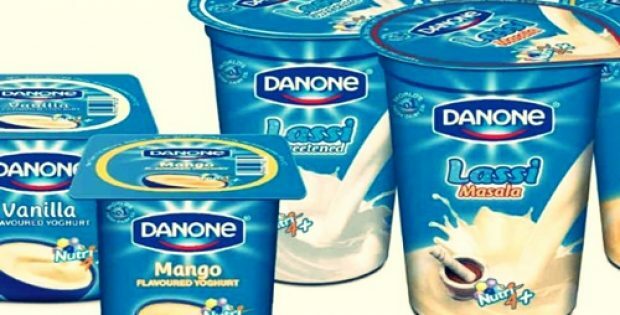 It reports are to be believed, with this investment, Danone will be gaining a strong foothold in the rapidly growing yogurt market and will also be benefiting in expanding its product portfolio in the international markets.